Surprise! I'm posting the Nate Berkus apartment tour from Architectural Digest. And of course, by "surprise" I mean, this is no surprise at all. Like most of the world, I've been a fan of Berkus ever since he debuted on Oprah's show. I've read his book, followed his designs and even got to sit in the audience on his show (RIP). Since then, he's married Jeremiah Brent (of Rachel Zoe fame and a talented designer in his own right) and they've had their first child, Poppy. This Fifth Avenue apartment was designed by the two and unlike mere mortals, Berkus says they were able to collaborate and design together without disagreements. It just makes me love them more. While I admit I could probably never live in such an edited palette, I would be more than happy to come over for weekly cocktails. Love the simple shades and library lights in this room. I've been considering a similar sputnik style lamp for our new bedroom. Again, love the natural shades. They're such an beautiful choice and you can find them for a steal at Home Depot. This is hands down one of my favorite kitchens in New York. The windows are to-die-for, but I love that the entire place looks like it could have been there for years. 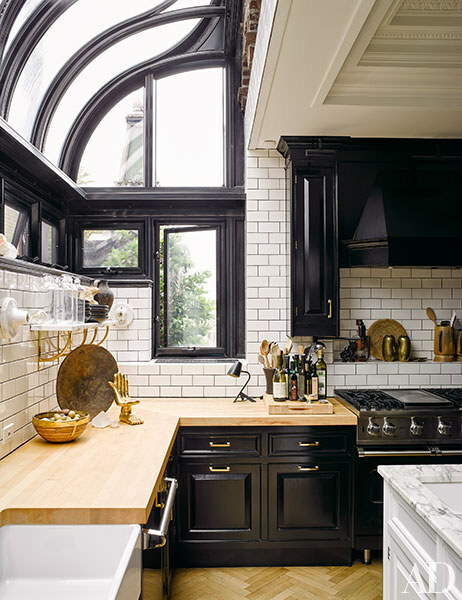 The subway tile and herringbone floors are classic, but the island is out of this world. 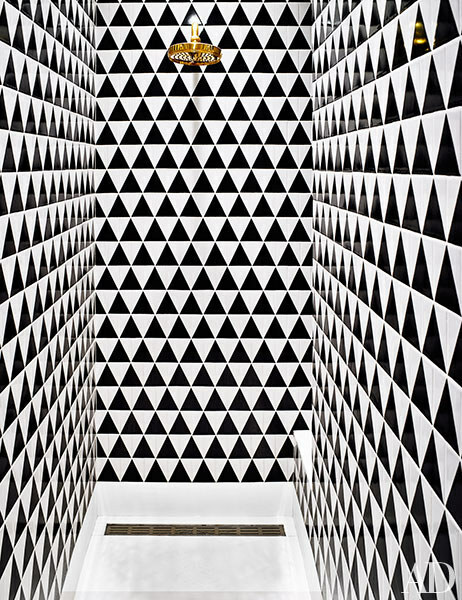 The magic is in the tile. The wall behind the sinks is incredible, and the mirrors pop in the brass frames. The shower is dizzying and spectacular. You can see the whole tour here and be sure to check out some of Nate's amazing collection for Target below.